It's no secret that Facebook wants to more aggressively monetize Instagram. However, it needs to avoid harming Instagram's unique brand in the process. 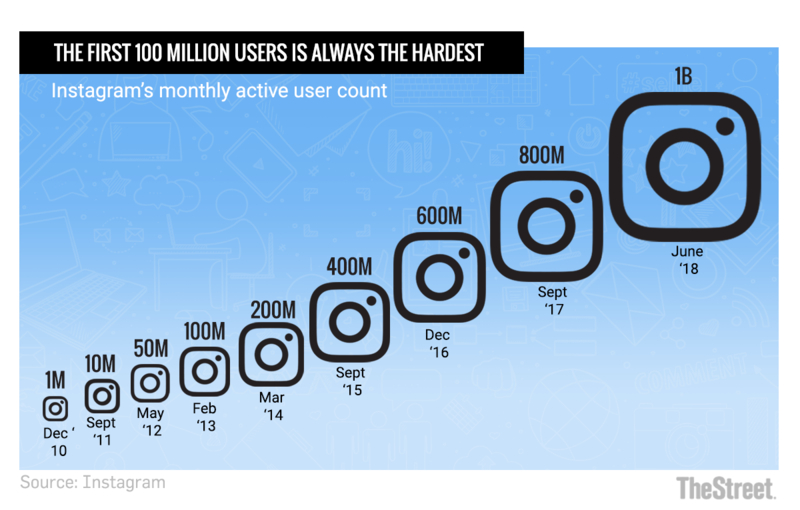 Instagram has been an exceptional performer for Facebook over the last few years. While Facebook (FB - Get Report) deals with loads of negative press and recently warned its revenue growth will slow, Instagram has looked as strong as ever. Will the departures of Instagram CEO Kevin Systrom and CTO Mike Krieger take the shine off of what increasingly looks like Facebook's crown jewel? Perhaps not in the near-term, given Instagram's momentum and all of the resources and talent it still has at its disposal. In the long-term, however, things could be different -- and not just because Instagram's product execution could be hurt by the pair's departures, or that some of the people below Systrom and Krieger may choose to leave as well. Instagram owes a lot of its recent success to maintaining a vibe and an image that contrast sharply with that of Facebook proper in the eyes of many consumers. That vibe and image could be hurt if Facebook doesn't proceed carefully from here. In a short statement, Systrom said that he and Krieger, who co-founded Instagram in 2010, are leaving the photo/video-sharing platform to "explore our curiosity and creativity again." However, just as WhatsApp CEO Jan Koum's recent departure reportedly stemmed from objections to Facebook's privacy and data policies, multiple media reports indicate that tensions with Mark Zuckerberg and other Facebook execs over Instagram's autonomy motivated Systrom and Krieger to depart. A TechCrunch report suggests that tensions escalated following Facebook's May executive restructuring. That shakeup resulted in Adam Mosseri, who had been in charge of Facebook's core news feed, being named Instagram's VP of product (he replaced Kevin Weil, who had held the role for two years). It also resulted in Chris Cox, who had been responsible for the core Facebook app, being given broader oversight of Facebook's "family of apps" -- that's core Facebook, Messenger, Instagram and WhatsApp. "When Chris started taking initiative and with Adam as more of the old-school in-crowd of Facebook, it was clear that it wasn't going to be pleasant," said one TechCrunch source. "I saw that this guy [Systrom] is gonna get squeezed." Separately, Re/code reported that Systrom and Krieger have disagreed with Mark Zuckerberg "on a handful of recent product changes, including changes to comments and how posts are shared between [Facebook and Instagram]." In a follow-up article, Re/code says Systrom and Krieger grew "increasingly frustrated and agitated with Zuckerberg and Facebook's increased influence" over Instagram. And that Facebook execs, in turn, felt that Instagram's co-founders "weren't always team players." Likewise, The Wall Street Journal reported that Systrom and Krieger "frequently clashed" with Zuckerberg. And since late 2017, Instagram and Facebook execs reportedly "disagreed over issues including Instagram's autonomy within the larger organization and Facebook's growth tactics." Some context: Facebook is now reporting limited growth for its active user counts -- they cover users of core Facebook and Messenger, but not those who use Instagram or WhatsApp without using the other two platforms -- in North America and Europe, which collectively account for the lion's share of its revenue. Moreover, the company is two months removed from forecasting that its annual revenue growth rate, which was 42% in Q2, would decline by a high single-digit percentage in both Q3 and Q4. It also forecast that its GAAP operating margin, which was 50% in 2017, would "trend towards the mid-30s" over the next several years as Facebook continues making large infrastructure and content security investments. Naturally, all of this increases the pressure on Facebook to monetize Messenger and WhatsApp, which for now produce a tiny fraction of its revenue. And they also increase the pressure to better monetize Instagram -- and in particular, the platform's wildly popular Stories product, which for now isn't monetized as aggressively as Instagram's main feed -- as well as leverage Instagram to boost Facebook proper's user growth and engagement levels. Based on what has been reported, this seems to have heightened the friction between Systrom/Krieger and Facebook proper's leadership. And now that Systrom and Krieger are gone, odds are that Zuckerberg and others will have more a free hand to make changes to Instagram that they feel are in Facebook's business interests. In the near-term, that could actually boost Instagram's revenue, which research firm eMarketer estimates will grow to $10.9 billion next year (for comparison, Facebook's 2019 revenue consensus stands at $69.6 billion). Certainly, given how low Instagram Stories's ad load appears to be relative to that of Snap Inc.'s (SNAP - Get Report) Snapchat Stories, there's a lot more room to run ads against Stories content. There's also an opportunity to run ads against videos shown on Instagram's new IGTV platform, and to better exploit Instagram's potential as an e-commerce platform. The question is, will Facebook end up damaging its golden goose along the way? It's impossible to give a definitive answer at this point. However, the fact that consumer impressions of Instagram are often so different from impressions of Facebook proper does suggest that Facebook needs to tread carefully. By and large, Instagram hasn't been stung by the bad press that Facebook has seen over privacy policies and election interference. In addition, Instagram, with its appealing photo and video-centric content, relative lack of political material and popularity as a venue for showing off to friends, has maintained a cachet with younger consumers that Facebook has lacked. This cachet is arguably one of the reasons why Instagram Stories (400 million DAUs as of June) has been much more successful to date than Facebook Stories (150 million DAUs as of May). And why -- during a time when newer services launched for core Facebook and Messenger have seen very mixed results -- Instagram services such as the Explore tab and the Instagram Direct messaging service have seen strong uptake in recent years. If Instagram starts to be seen as just another ad-filled part of Facebook's empire, that cachet could easily disappear. Maintaining it should be a top priority for Mark Zuckerberg & Co. in the wake of Systrom and Krieger's departures.